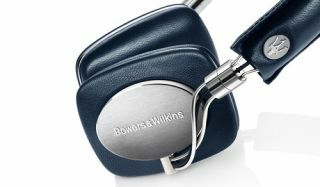 B&W P5 Maserati headphones launch in racing blue leather | What Hi-Fi? B&W already occupies the upper echelons of the audio market and an enviably elevated brand position in the eyes of the average punter, but it seems it has eyes on a more exclusive end of the market. The company has teamed-up with Maserati, makers of superlative supercars, to make the P5 Maserati Edition headphones. On sale now for £330, the Maserati P5s follow in the footsteps of the B&W 805 Maserati Edition speakers, which caused a fair old stir when they broke cover last year. While the B&W Maserati speakers cut a fairly stunning profile, there's not quite as much scope for design flourishes with the P5 headphones. That said, they come in Maserati's deep racing blue colour and are finished in fine-grain natural leather. The Maserati Trident emblem is of course present and correct, too. Underneath remains the familiar B&W P5 headphone, a closed-back design complete with a Made for iPhone cable with micriphone, plus a standard audio cable.